The ruling BJD in the state has re-nominated sitting MP Kalikesh Singhdeo from the seat, the BJP has fielded three-time MP Sangeeta Singhdeo, wife of veteran saffron leader K V Singhdeo. The soaring mercury levels in Odisha have failed to take the heat out of last- minute campaigns in Bolangir Lok Sabha constituency, where a greenhorn is locking horns with two princely state candidates in a pitched battle. Notwithstanding the grueling heat, the candidates, along with their supporters and family members, have hit the road in their last-ditch attempt to woo the voters. While the ruling BJD in the state has re-nominated sitting MP Kalikesh Singhdeo from the seat, the BJP has fielded three-time MP Sangeeta Singhdeo, wife of veteran saffron leader K V Singhdeo. The Congress has nominated newbie Samrendra Mishra, son of Leader of Opposition in the Assembly Narasingha Mishra, to take on the heavyweights. Since 1998, the seat has been retained by the members of the royal family - either by Sangeeta Singhdeo or by her brother-in-law Kalikesh Singhdeo. Ms Sangeeta, as a BJP candidate, was elected to Lok Sabha from Bolangir in 1998, 1999 and 2004. Mr Kalikesh, on the other hand, has been holding the seat since 2009. He defeated Sangeeta by 1,04,299 votes in 2014 to bag the seat for the second consecutive term. Ms Sangeeta, who was the common candidate of the BJD-BJP alliance for three consecutive terms, lost the seat to Mr Kalikesh after the coalition split. Mr Mishra, however, believes that he will put an end to the "dynastic rule" in Bolangir this time. "This is a fight between a raja (king), a rani (queen) and a common man. I, being a common man, will certainly win because people no longer support dynastic politics." His father and senior Congress leader Narasingha Mishra was defeated by Mr Kalikesh in 2009. The Congress greenhorn, it seems, is out to settle the score over his father's defeat. "The Naveen Patnaik-led government has failed to improve irrigation facilities in Bolangir even after 19-year- long rule. People have migrated to other states in search of work due to lack of job opportunities. I am the only one who speak for them in Parliament," he added. The two members of the Singhdeo family also exuded confidence that they would find their way to the Lower House of Parliament again. "The BJD has taken many initiatives for the seat in the last 10 years. I am sure Bolangir will bless me again," Kalikesh said. He stressed that people will vote for a regional party as national parties, after forming the government, "do not care about their interests". The constituency, a part of the poverty-stricken (Kalahandi-Bolangir-Koraput) belt, is beleaguered by drought and persistent crop failure, Kalikesh said. "The BJP is an anti-tribal and anti-poor party. It stopped financial assistance for the KBK region and also discontinued the Backward Region Grant Fund, which had aided people here to a large extent in the past," he claimed. Ms Sangeeta argued that many poor women in the constituency have benefitted from the central schemes. "People have faith in the BJP. They have seen me as their representative thrice earlier. Prime Minister Narendra Modi's good work and strong leadership have impressed the voters of Bolangir," she claimed. "Women here have received cooking gas connection and pucca houses. They have also been able to set up toilets with central funds," the former MP added. Notably, the constituency has not favoured the grand old party in a long time. The Congress last bagged the seat in 1996 polls, when people elected Sarat Patnaik to power. Barring a few occasions, Bolangir has always been loyal to the royal family when it came to electoral battles. K V Singhdeo's father Raj Raj Singhdeo had won the Lok Sabha constituency for two consecutive terms in 1967 and 1971 as Swatantra Party candidate. The Swantrata Party was founded by Raj Raj Singhdeo's father Maharaja Rajendra Narayan Singhdeo, who also happens to be the first chief minister of Odisha. Of the seven assembly segments in Bolangir - five are represented by BJD MLAs, and one each are held by the BJP and the Congress. While KV Singhdeo represents the Patnagarh assembly seat, Narasingha Mishra was elected from the Bolangir segment in 2014. However, if the 2017 panchayat polls were to be taken into consideration, a change in the direction of the wind seems likely with the saffron party bagging the lion''s share of zilla parishads. The BJP had secured 24 of the 33 zilla parishads in Bolangir district, causing a major setback to the ruling BJD. As a remedial measure, the ruling party has fielded fresh candidates from Loisingha and Patnagarh assembly seats this time, replacing the sitting MPs. 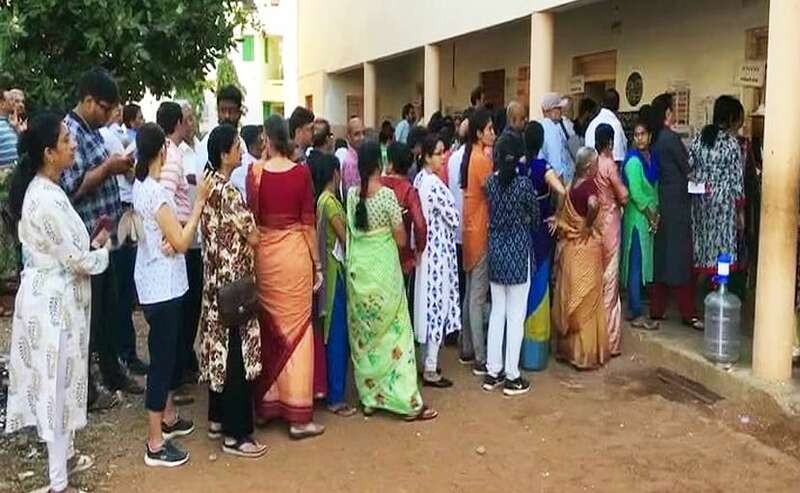 According to a poll analyst, the saffron party and the BJD are the key contenders in Bolagir Lok Sabha seat, where the voters haven''t sprung too many surprises in the past. Bolangir, with its more than 14 lakh electorate, is set to go to polls on April 18.